Ant-Man Power half sleeve T-Shirt, available in different colors, softest, smoothest, good looking r..
Ant-Man Action half sleeve T-Shirt, available in different colors, softest, smoothest, good looking ..
Ant-Man Heroes Don't Get Any Bigger half sleeve T-Shirt, available in different colors, softest, smo..
Ant-Man ant farm to high-flying thrills with character cars and action figures, this is an exciting array garment which through boys & kids get fun with Marvel’s smallest Super Hero. Ant-Man t-shirts are great t-shirts for fans of Marvel’s Ant-man. Neevov offers close fantastic look of Ant-man t-shirts for boys & kids in India. Ant-man may be as a tiny hero but this is the most favourable & lovable hero by the boys & kids. Boys are great fan to wear Ant-man t-shirts to get the touch of their super favourite hero. Ant-man t-shirt makes happy to the boys |& kids thus, in this way boys express their love for Ant-man superhero. Ant-man t-shirts are a great choice if the boys would like present as a precious birthday gift to their friends. This will be the good choice than any other. 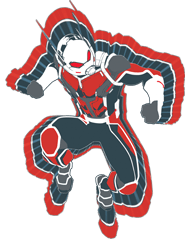 Ant-man t-shirts has an exclusive feature helmet in Grey and red ink spot on the front part of black t-shirt that shines in the night-time. 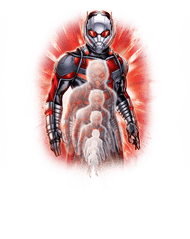 Boys & kids feels this awesome touch of their favourite Ant-man superhero. Boys love to keep such collection of their favourite superhero t-shirts into their wardrobe what colours, designs they like most. 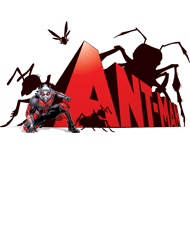 Ant-man t-shirts are looking little bit horrible account of its darkest print still boys & kids find their interest for their favourite superheroes t-shirts and dress code. True fans will love different varieties of Ant-man superhero t-shirts. These Ant-man t-shirts are going to evolve into some other latest versatile styles for their lovable fans. Find the latest amazing Ant-man t-shirts for every excited fan. Captain America t shirts and Iron Man t shirts are famous t shirts of the Marvel comics. 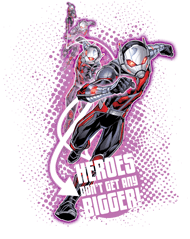 Ant Man T-Shirts online India are popular designs in the market trend come at Neevov.com in India with your better choices and get selected piece of your favourite ant-man superhero. Neevov has a huge collection of varied Ant-man t-shirts for boys & kids. Ant-man t-shirts are printed with coll designs & look with the better comfort fabric. Ant-man t-shirts express your personality with an impressive look. Ant-man t-shirts are offered with a classic look. Some Ant-man t-shirts are printed with multi-colour print and some are presented with different colourful text. 100% ring-spun combed cotton, Single Jersey, Fabric weight - 180 gsm, Pre-Shrunk & Bio-Washed Fabric, Regular & Comfort Fit, Well Side Stitched For Perfect Fitting, Shiny look, Perfect durability, Neck cover-stitched, Shoulder to shoulder tape, Double needle hemming on bottom & sleeve.